YOU can’t have missed the hold that the Ford Mustang has had on Hollywood – and the American imagination – throughout motoring’s earlier years. The iconic car fronted classic movies like the Steve McQueen-headlined Bullitt and both versions of Gone in 60 Seconds (yes, there were two). It was there in the Bond movies. More recently, it was a prime catalyst for titular John Wick’s descent into a rage- and revenge-fuelled killing spree, and even becomes a weapon of choice in the sequel. The earliest Mustangs, you see, were somewhat of a sensation in America, sold by the million with snarky, brilliant marketing campaigns that were way ahead of their time. 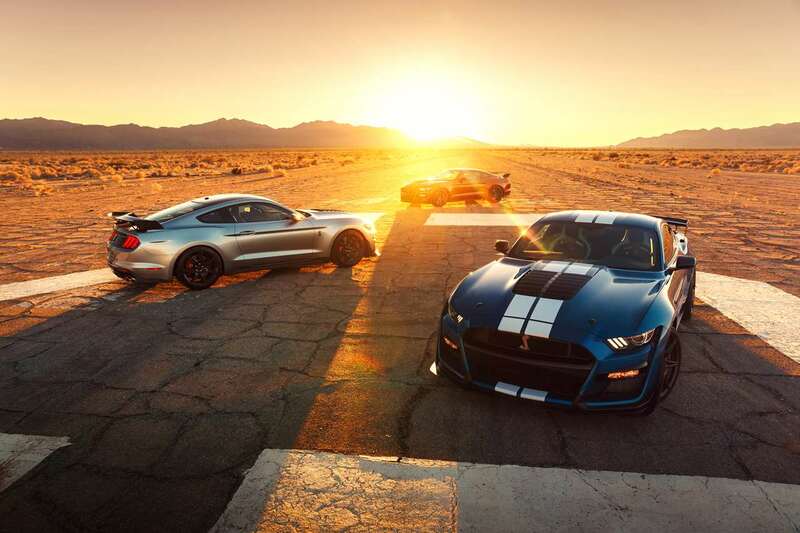 So when the stalwart American automakers announced plans for a 2020 Mustang Shelby GT500, it marks a huge chance to land a ride that’s masculinity incarnate for the garage, while staking your claim as part of the Mustang’s rich history. TRACK RECORD – The 2020 Ford Mustang Shelby GT500s. The original GT500 took after the race-topping Shelby GT350s. None of that low-lying, svelte silhouette claptrap here – the Mustang’s got a monstrous front grille and a mind to actually use it, and packs sculpted haunches that flank the unmistakable hood vents. No mother could love that face – tt’s too intimidating. Good. All this airflow management isn’t cursory, as with gentler cars of today. Ford’s stuffed the new GT500 out the wazoo with raw power, and that power needs adequate cooling. The 700hp supercharged v8 is the meatiest workhorse Ford’s ever put into their street-legal rides, topping the 2014’s by a substantial 36hp at least . No exact figures for the 0-100 nor top speed have been posted as of publication time, but we’re getting estimations around the “mid-3” mark. Handsome and bold features define the rear – three-tier ridged stoplights accentuate the car’s racing pedigree, and shouty 5-inch quad exhausts are in place to make sure all who don’t see you coming, hear you going. As of now two packages avail themselves to potential owners, termed the Carbon Fibre Track and Handling. Further customisations are on the cards at additional cost. You could, for example, slot in full track seats for better support if you envision yourself punishing the asphalt up at Sepang often. The car’s down for a fall (or Q4) 2019 release, and we’ll update this page with information from the dealership as soon as it’s available. UPDATE: Bummer – the dealership’s replied and there are no plans at present to manufacture any right-hand drive cars. Oh well, one for the summer house garage then.